With the NPA Value Guide™ never fear taking a trade in again! 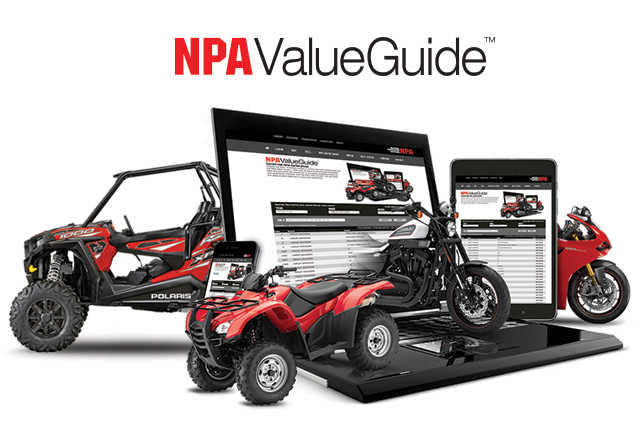 Dealers are given immediate access to current real-time market prices via the NPA Value Guide™. Dealers have the option to search by location, condition, month range, and now by the Vehicle Identification Number. With over 25 years of accumulated proprietary data, this innovative tool assists you in accurately projecting returns on your powersport inventory. 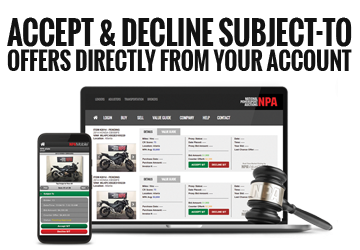 With the NPA Value Guide™ you will never turn away another trade due to inaccurate projections.